In our eighth color closeup, we're taking a look at our grays. 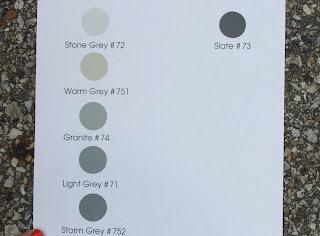 Need a gray shade but don't know which one? Take a look inside! 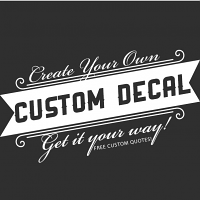 Trying to decide on a decal color that “goes” with your home’s décor while avoiding the common black color? Grays work great when it comes to accenting walls with funky colors such as blue, green, or even a different shade of gray! 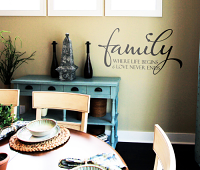 Our “Love is All Around Silhouette” design photo is a perfect example of our Slate #73 color on a lighter shade of gray wall, as you can see below. 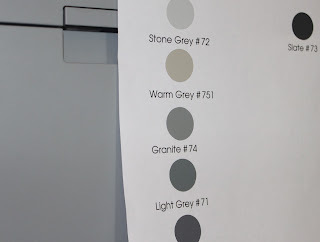 When conquering the gray on gray –or gray on any wall color, for that matter- effect, knowing which shade you are ordering is tricky (especially if you don’t have time for color samples!) We have compared our grays to some commonly colored surfaces around the office in order to give you a better understanding. In these photos our colors are being compared to our stainless steel kitchen sink. Our Granite #74 color is the closest to the steel color (without the shine, of course). The dirty, almost brown shade to our Warm Grey #751 color is also showcased well here. Although Slate #73 is hidden and halfway cut off in the upper right hand corner, it can plainly be seen that this is our darkest gray. Slate #73 is riding the thin line between being considered “very dark” and “almost black”. The difference between black and Slate #73 is shown well in our comparison with our printer. 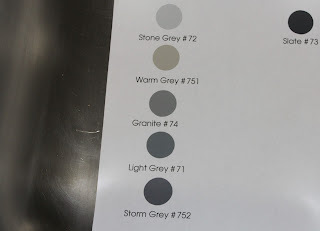 The slight differences between Granite #74, Light Grey #71, and Storm gray #752 can definitely be seen here, as well. 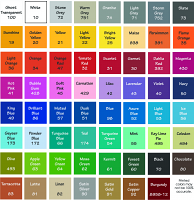 The only color to be cautious of in this photo is Stone Gray #72; although light, this color is not as “off white” as it appears. There is a bit more gray to it. As usual, we saved the best for last with our comparison to our parking lot concrete. The sunlight on the colors allowed them to be seen more clearly. Granted, we’ve had a fairly cloudy week, but the colors still look great! I really hope this helps explain our gray shades a little better. 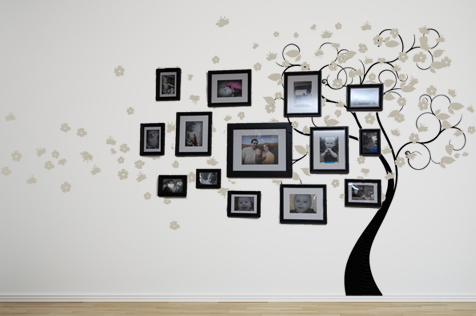 If you want to order color samples so that you can see them in person, order them here: http://www.beautifulwalldecals.com/color-sample-card.html . You also can get a working sample on that form. 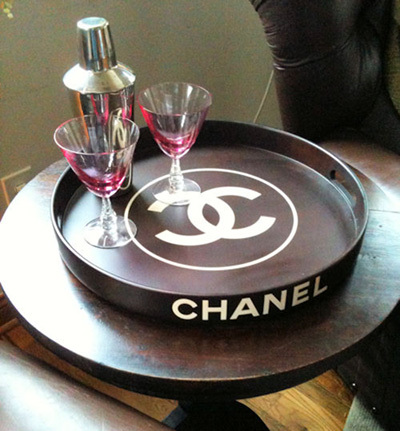 You get a $5.00 gift certificate just for ordering color samples from us, so it’s win-win!